Tony Bond and Wayne Tunnicliffe, Contemporary: Art Gallery of New South Wales Contemporary Collection , 'Collecting contemporary art at AGNSW', pg.424-441, Sydney, 2006, 425. Edmund Capon, Look , 'And then there were two', pg.24-25, Melbourne, Jul 2001, 24 (colour illus.). Betty Churcher, Australian notebooks , 'ART GALLERY OF NEW SOUTH WALES', pg. 45-90, Melbourne, 2014, 62 (colour illus. ), 63-65, 252. Renée Free, Art Gallery of New South Wales handbook , 'European', pg. 36-56, Sydney, 1988, 51 (colour illus.). Renee Free, Art and Australia , 'European Collection', p.63-75, Sydney, Jul 1972, 74 (illus.). Bruce James, Art Gallery of New South Wales handbook , 'Western Collection: Paintings and Sculpture', pg. 17-77, Sydney, 1999, 61 (colour illus.). Peter Laverty, Art and Australia (Vol. 20, No. 2) , 'Artist's Choice No.12 Pierre Bonnard: Self-portrait', pg. 246-247, Sydney, Summer 1982, 246, 247 (colour illus.). Justin Paton, Look , 'Against the light', pg.52-8, Sydney, May 2018-Jun 2018, 52, 53 (colour illus. ), 55, 57-8. Ross Steele, Art and Australia , 'French Impressions', pg. 87-93, Sydney, Spring 1984, 92 (colour illus. ), 93. Charles Terrasse, Apollo , 'Recollections of Bonnard', London, Jan 1966, 63 (illus.). Portrait of a Gallery , 'European 20th Century Art', pg. 91-95, Sydney, 1984, 93 (colour illus.). A face to the world: on self-portraits , 'Mirrors', London, 2009, 149 (colour illus.). Le Figaro magazine , Paris, 14 Jan 2006, (colour illus.). 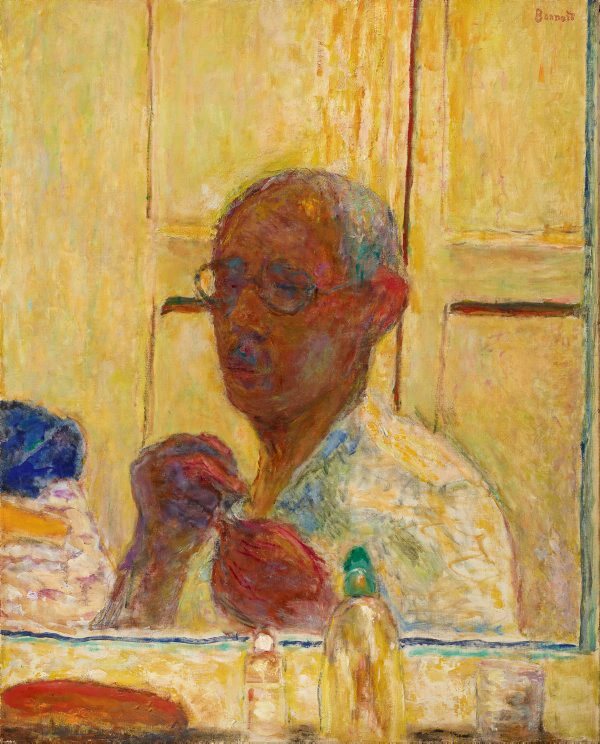 Art Gallery of New South Wales Collection Series: European 1: Pierre Bonnard, Self-portrait in dressing-room mirror , Sydney, 1981, cover, (colour illus.). Australia's national collections , Sydney, 1980, 256 (illus.). Art Gallery of New South Wales picturebook , Sydney, 1972, cover (colour illus.). 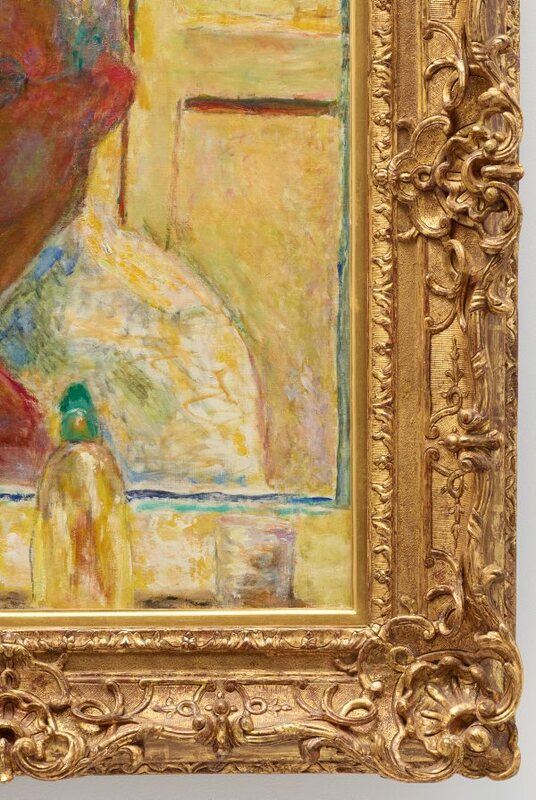 Bonnard , London, 1966, 137 (colour illus.). Originally published in french as Bonnard; ou, Le bonheur de voir. Neuchatel, Ides et Calendes, 1965. AGNSW Collections , The Western Heritage, Renaissance to 20th Century, Sydney, 1994, 163 (colour illus. ).